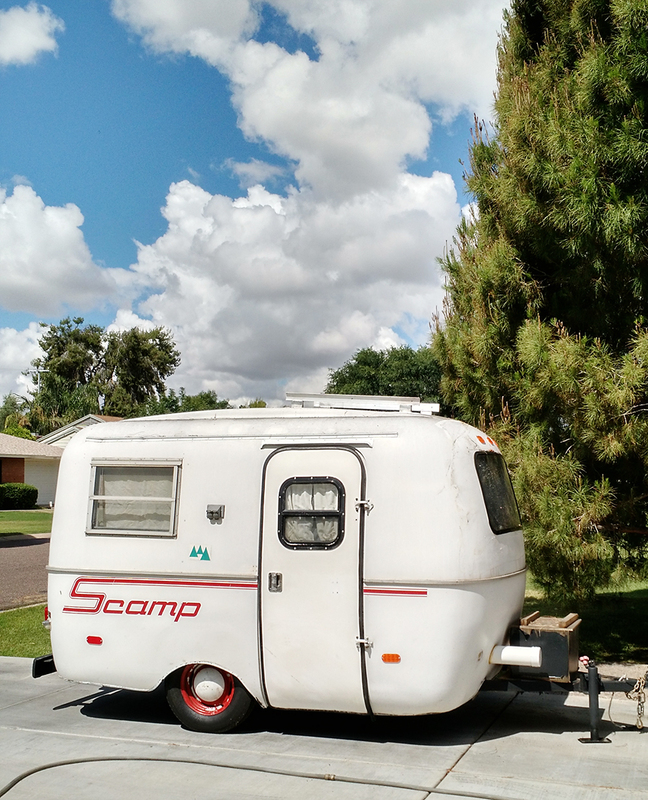 The past two weekends we have been hard at work on our little fixer upper: Scamp fiberglass rv aka Bessy (she's 40 years old, so I think the name suits her). Last fall/winter we did a lot of work on the inside, but there is still a ton more work to do. Though we will we're plugging away on it out here in Arizona, our plan will be to continue working on it once we get back east. At the moment we're working on Bessy's outside. Sadly her previous owners did not take great care of her, so her fiberglass shell had lots of cracks and little holes which is why we're are focusing on restoring her body to full travel condition. 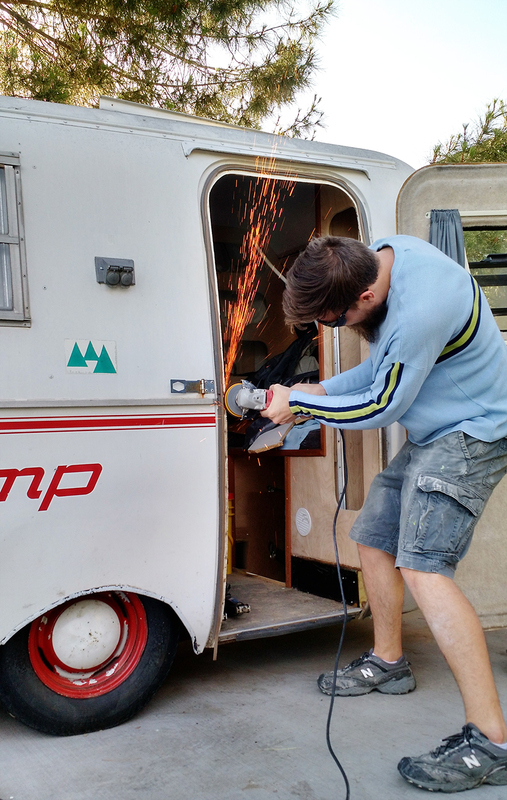 We ended up replacing the door with the door from our first Scamp, it some how survived the accident with only a scratch. After the crash we weren't even sure if we were ever going to find another Scamp again, but I just really wanted to have the door as a nice little reminder of the first one. It's really just wonderful luck to have it on Bessy now. As an upside the old door included a much better handle and lock. 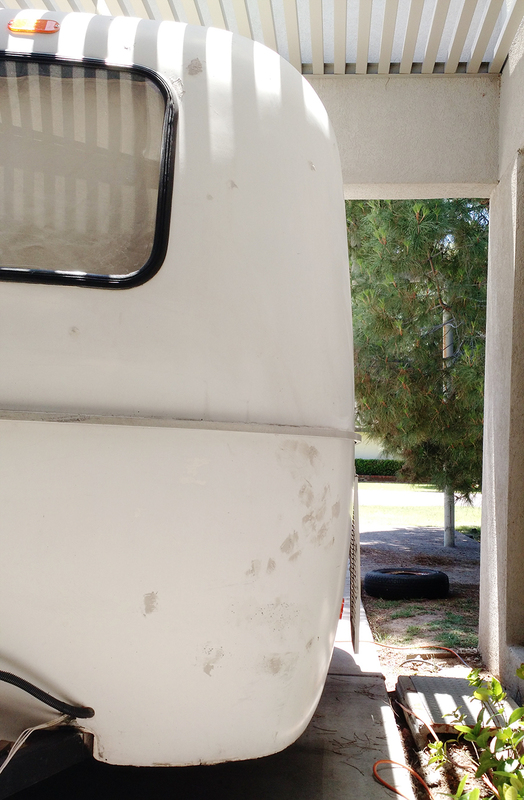 Bessy came to us with an outside lock that would make it easy for someone to easily lock us in. Not good. So now we can sleep easy inside the Scamp without worrying, haha. 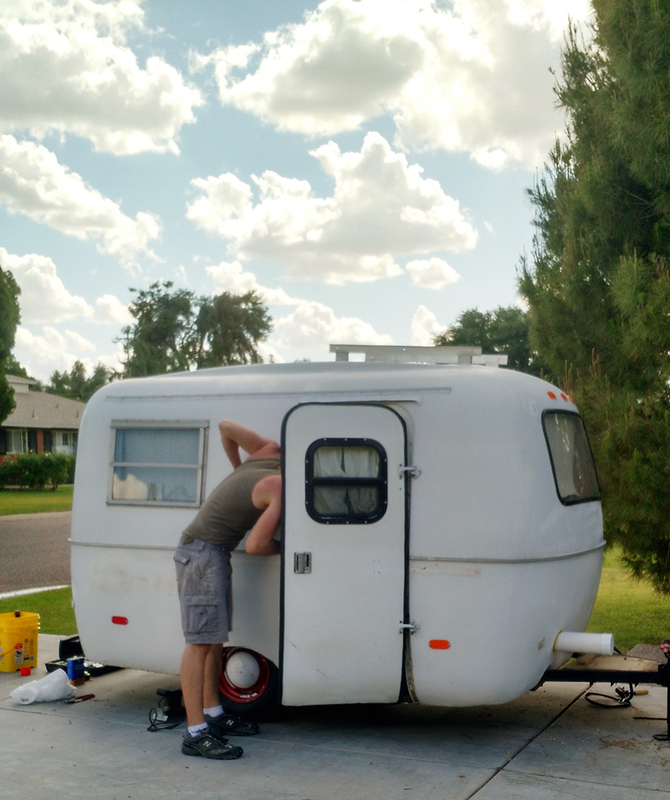 This last weekend we spend two days taking off the logos, fixing holes and dings with Bondo, and sanding the shell down to get her all ready for a new paint job. Ahhh, I cannot wait to get her all painted, though I am not excited about how big of a job it's going to be, haha. Hopefully the summer gods will smile on us and make sure it's not too unbelievably hot next weekend. If it is, though, my dad has a pretty great pool at his house we can cool off in. I cannot wait to get Bessy looking absolutely amazing again!